We recently opened a special “Outlet Store” on our site to offer closeout pricing on select items from our collections. This is one of those specials and we have very limited quantities, but new items are added all the time! 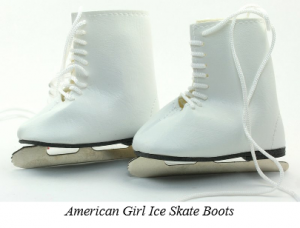 Whether you’re a doll lover or have family and friends that love dolls, there is no de nying their miniature appeal. The unlimited amount of tiny accessories out there can be a bit overwhelming. 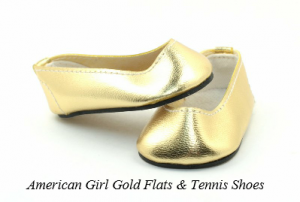 While wee can not help you will all the items you might need for your American Girl Dolls, we can help with their Shoes! 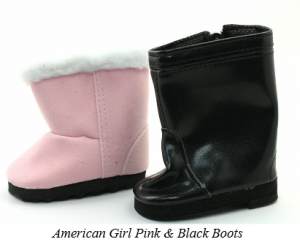 On top of that, the closeout prices for our doll shoes (American Girl sized dolls) cannot be beat. Not only are they very inexpensive, but the styles of shoes and boots we carry are fashion forward. 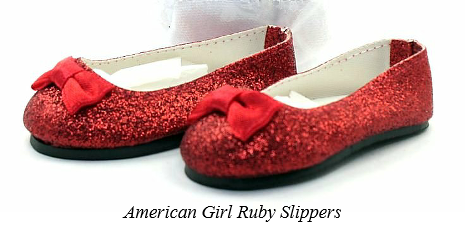 Click here to see all of our SALE shoes. On this page we also have several other doll accessories that might suit your fancy!